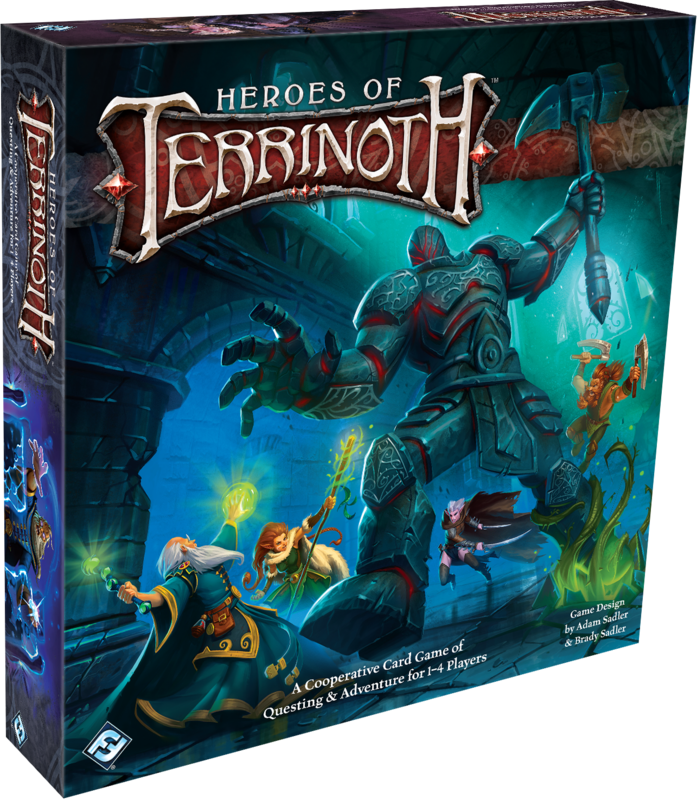 Terrinoth is in peril and now the realm looks to you for a savior in Heroes of Terrinoth from Fantasy Flight Games! The restless dead rise in the Mistlands, the Bloodguard sow discord in the Free Cities, and even the Land of Steel is no longer safe as tales of marauding goblins travel along the roads. You must step into the shoes of a hero and journey into the darkest dungeons and caverns, seeking out the dangers that threaten Terrinoth and casting them down. And if you happen to get rich along the way… well, what’s the harm in that? 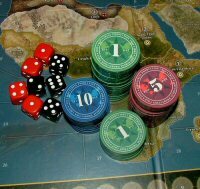 In this cooperative card game of questing and adventure, one to four players choose from an array of twelve distinct heroes, spread across four possible archetypes: healer, warrior, mage, and scout. Each hero has a special ability reflecting the skills and talents they’ve learned along the way, and as you gain more experience through your quests, you’ll have the chance to grow from a fledgling student to a true master of your art and specialize in different classes.